Circus peanuts aren't even chocolate!! 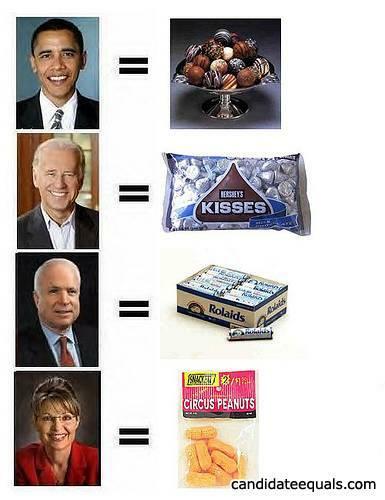 I think Palin would be perfect as the hollow chocolate bunny. Emphasis on the "hollow" and the "bunny"
Who would win, Chuck Norris or a T-Rex? The T-Rex, Chuck Norris would get ripped apart like any other human-being.